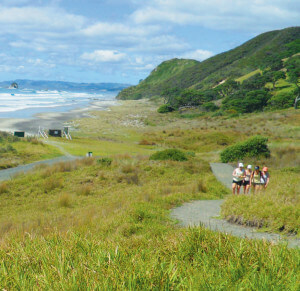 If there is one walkway that is Mangawhai, this is it. 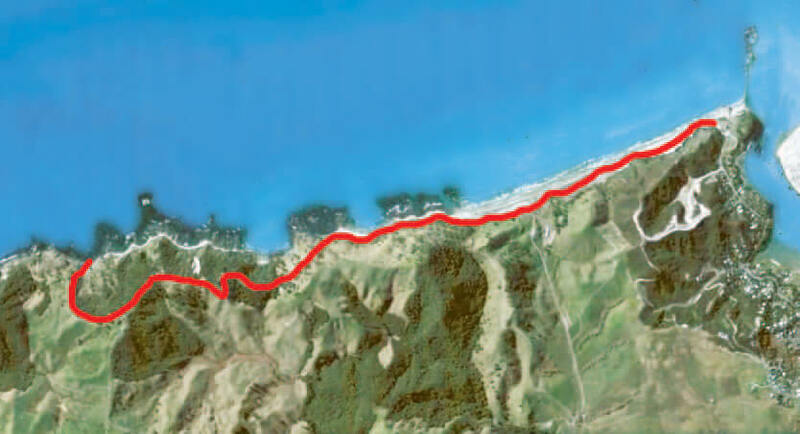 Now part of the national walkway system, this track takes us along the cliff tops north of Mangawhai Heads. 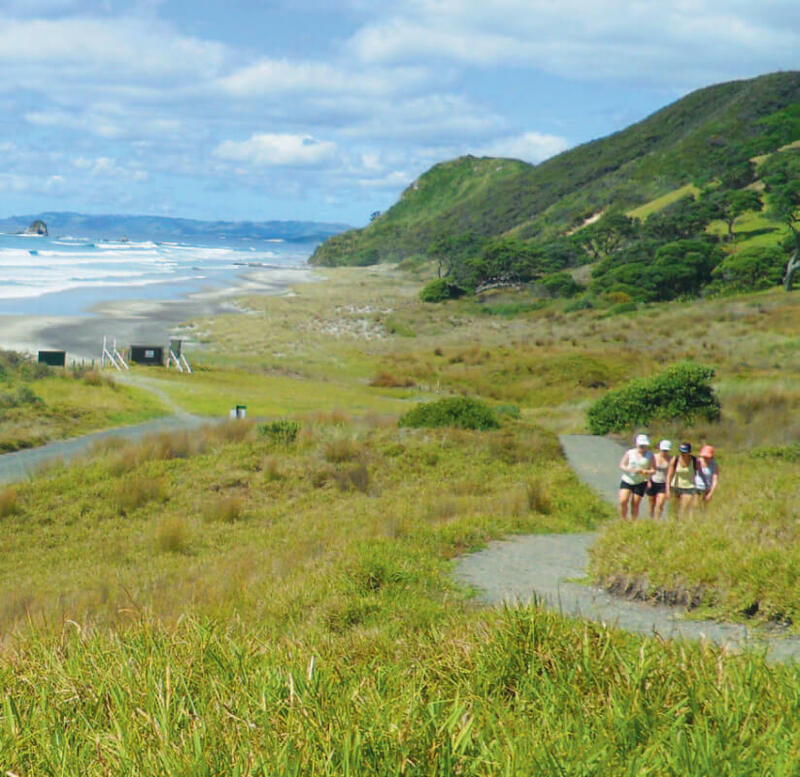 This is an excellent beach and cliff-top walkway having been described as one of the best coastal walks in New Zealand, it is one of the regular walks on the Mangawhai Walking Weekend but can be walked any time of the year. The high quality grade of the track makes it a top attraction in the area. 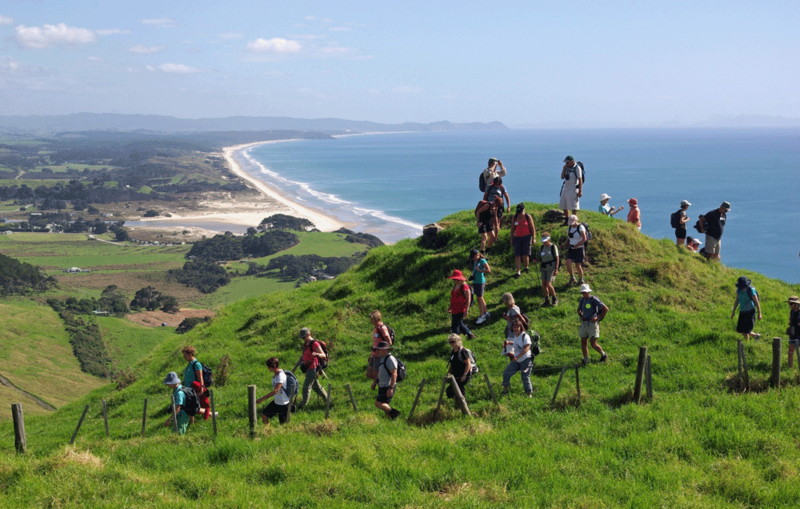 Outstanding views extend from Bream Head to Coromandel including Mokohinaus and Great and Little Barrier Islands. The immediate islands are The Hen and Chickens/Taranga Marotere named by Captain Cook. These are great for fishing but landing is not permitted. 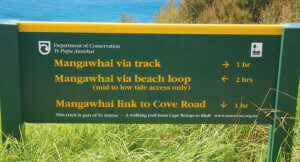 The walk heads north along the beach for 15/20 minutes, until you see the signs. A resident has erected a glorious sculpture of moving palm fronds just by the track entrance. 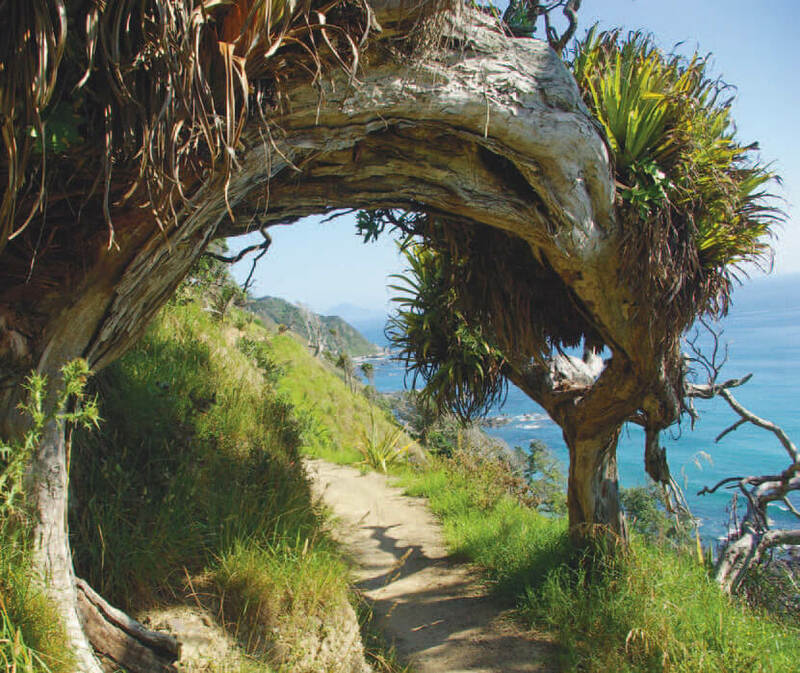 Look for the white rata clinging to the taraire trees by the side of the steps. After 15 minutes of step climbing is the first look-out. Stop here for a breather and to admire the view. The height above the beach is amazing and the view magnificent. 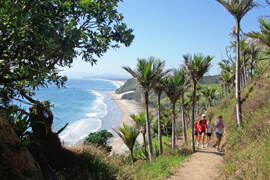 From then on the track rambles up and down on an almost level gradient as it winds across the open cliff face so take care on these vertical slopes. 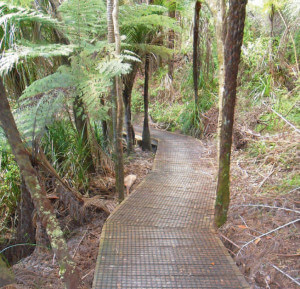 Then the track leads through cooling patches of bush where, in early summer, a native pigeon may be seen feeding on the nikau berries. Boardwalks keep the feet dry over damp gullies. 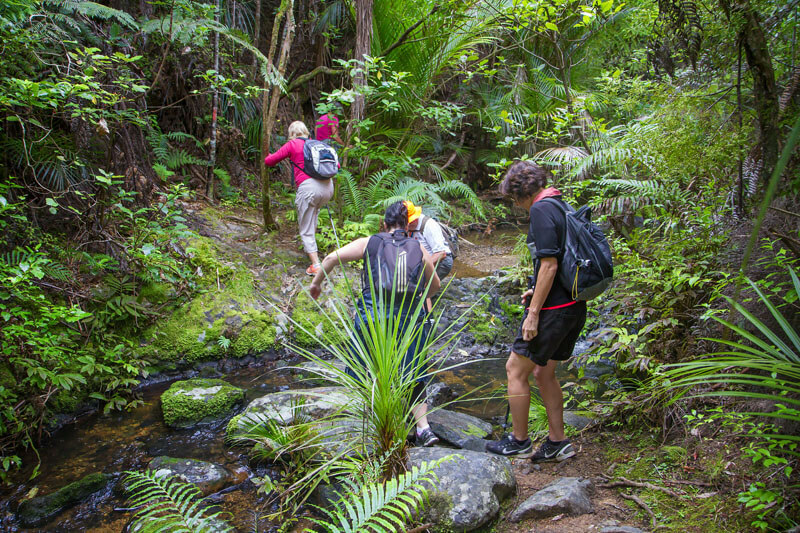 Finally it drops down from the high point through stands of nikau and pohutukawa on more steps to the water. All the way the views continue to catch the eye so take time to stop and be still for a while. On the beach turn right and note the high massive archway rock. If there is water surging through the gap you have misjudged the tide and must turn back via the cliff. The 45 minute return walk along the beach back to the Surf Club has 20 minutes of boulder hopping. Stop for a swim at the beach named by some as Paradise Bay while others call it Honeymoon Beach. When: 3 hours either side of low tide to complete the loop. 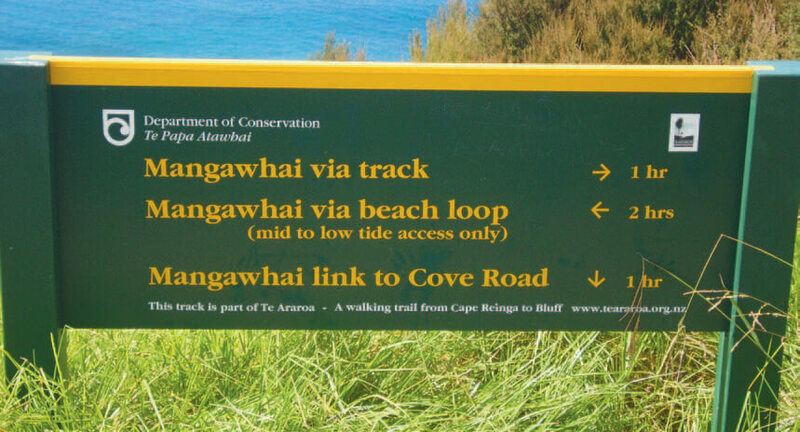 Note: This track does not continue to Langs Beach. 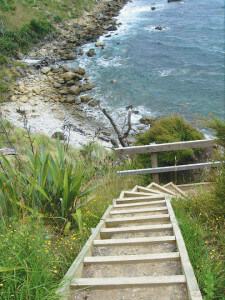 Easy to moderate walking but includes many well formed steps. Track is well formed. 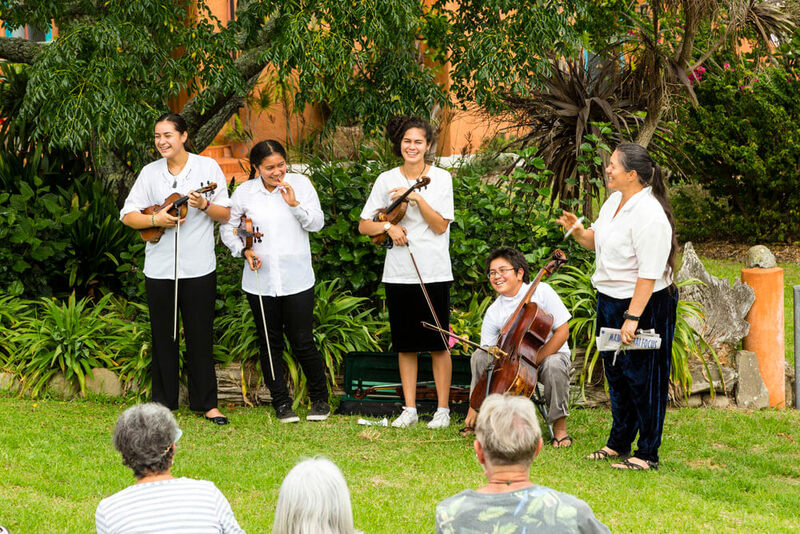 Care needed over boulders. Suitable for people with moderate fitness and abilities. Strong walking shoes or light hiking boots required. 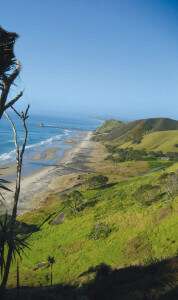 Mangawhai is located on the twin Coast Discovery Highway just 80 minutes drive from Auckland CBD. 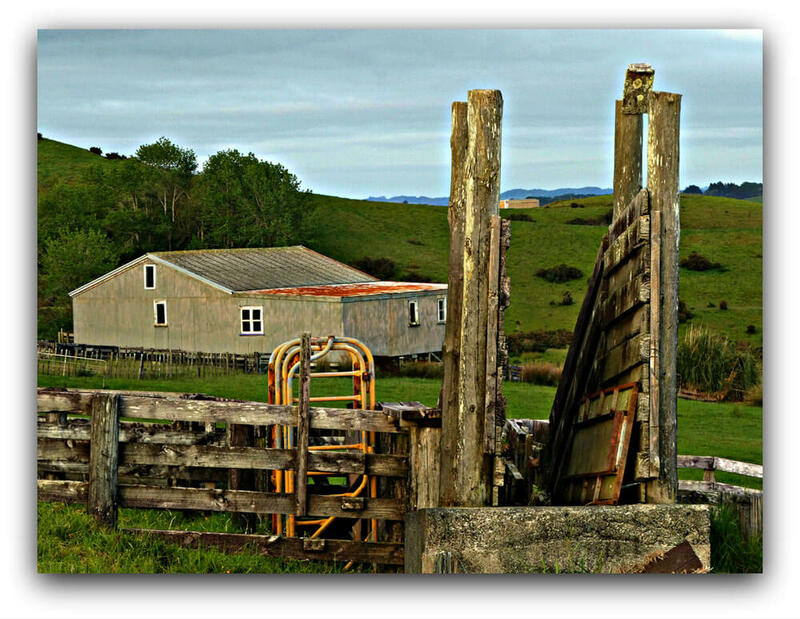 (turn to the right off SH1 at Wayby Valley Road just where the speed limit changes from 80 to 100kph and follow the signs to Mangawhai) From Whangarei it is 50 minutes south. 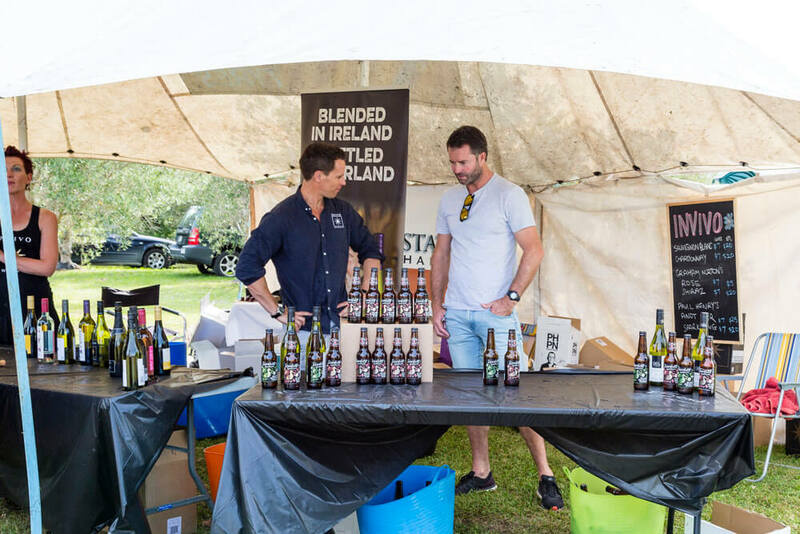 (Turn off SH1 at Waipu) You can park at the Mangawhai Surf Life Saving Club car park. The track is signposted from there. 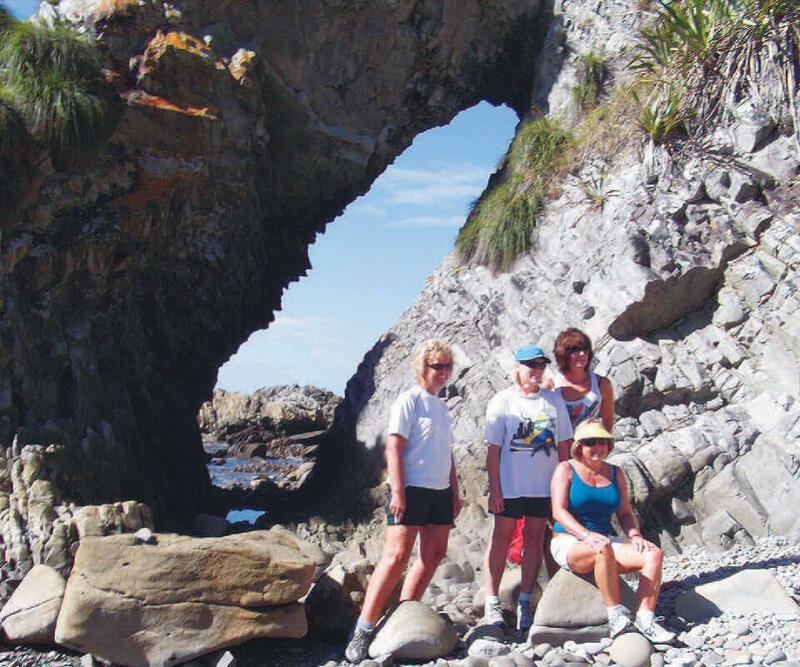 The loop can be walked in either direction with many locals preferring to walk the beach first as the views can be better with the sun behind you.